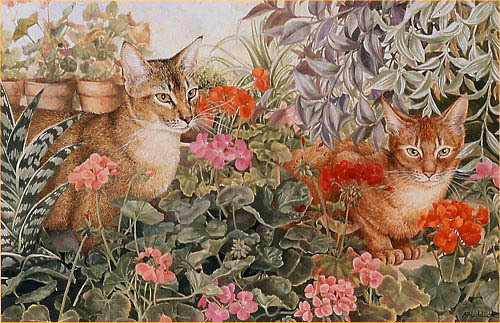 Astrid’s detailed paintings are executed in acrylic medium on paper. 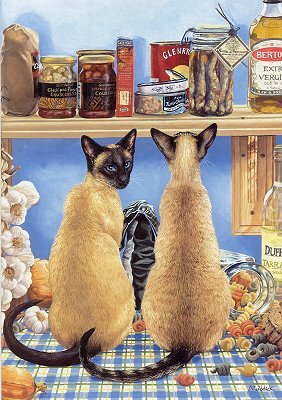 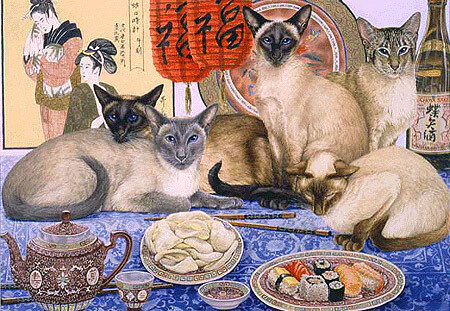 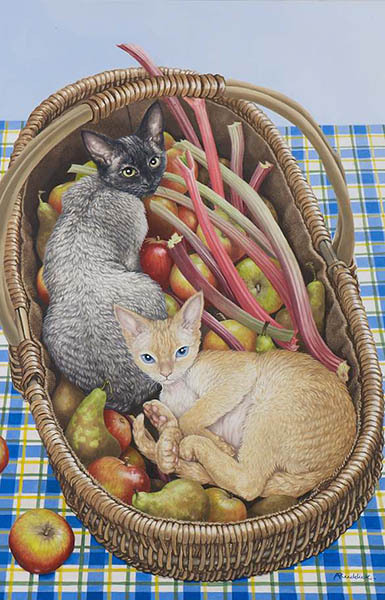 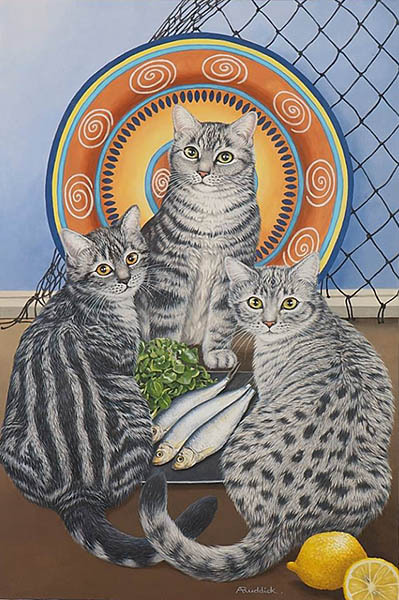 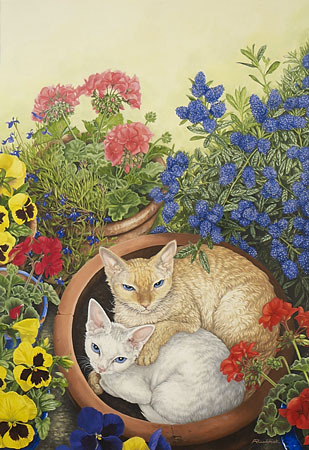 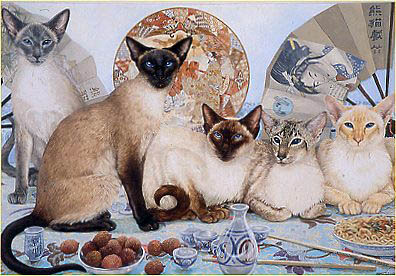 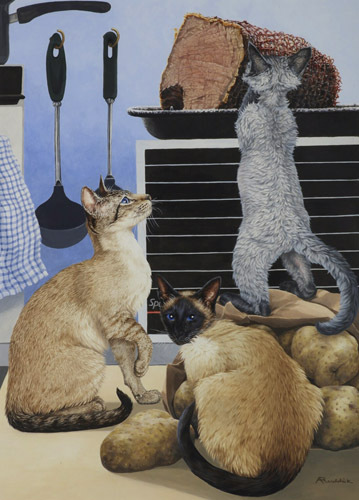 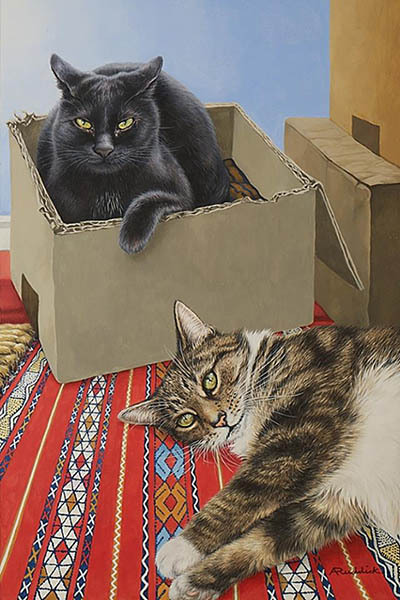 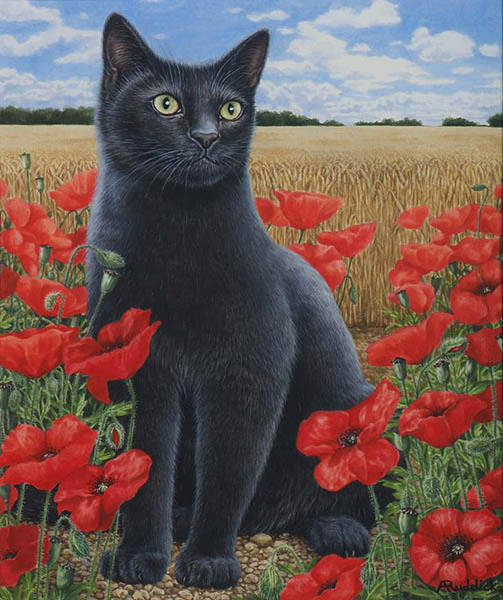 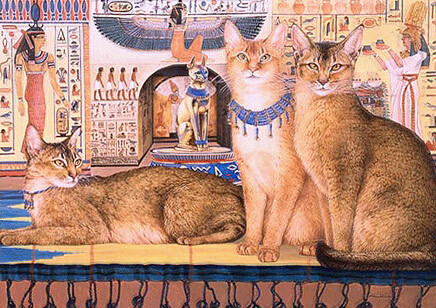 Many works feature Siamese cats and Devon Rex cats, for which she has a particular passion. 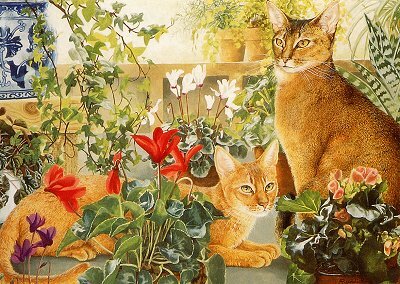 Astrid accepts commissions for quality cat paintings & portraits.